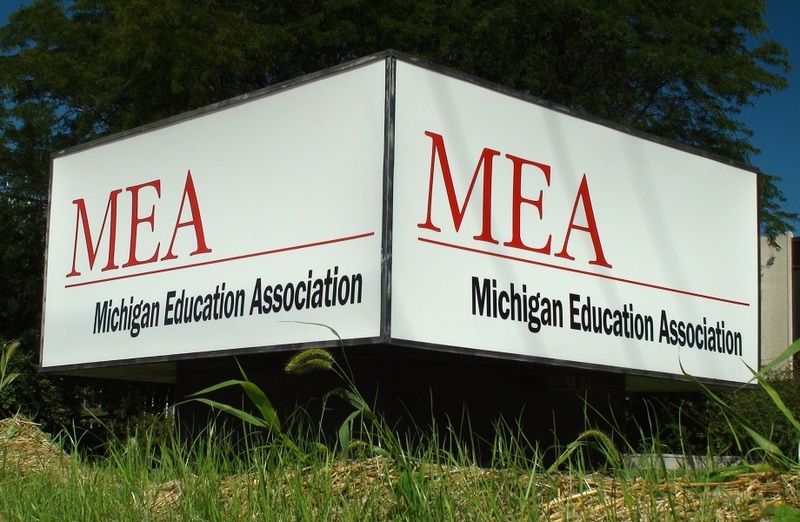 A Dec. 16, 2014 headline on the Michigan Education Association website reads: "MI taxpayers helping charter school management companies make big profits." The MEA has consistently criticized charter schools, insinuating that profits and making money in public education is wrong. Yet, for decades top union executives have themselves profited handsomely from the operation, among other things using their six-figure salaries to add hundreds of thousands of dollars worth of benefits to their school government pensions. Former MEA President Luigi Battaglieri was a teacher making $34,659 in 1992 when he left Fraser Public Schools after 18 years to join the MEA. On the way out he swung a special deal with the school district that let him use his 14 years and $181,902 union president salary to “spike” the payout from his public school pension. In 2014, Battaglieri's government pension was $85,903, compared to the $9,358 in annual benefits he would have earned based on just his time in the classroom. Iris Salters replaced Battaglieri and secured a similar deal with Kalamazoo Public Schools. In 2014, her government pension was $140,000 a year. Steve Cook replaced Salters and arranged a similar deal with the Lansing School District. When Cook retires, he will have a government pension estimated at $105,000 a year. Both Cook and Salters were able to include their years with the MEA and their six-figure union salaries in the calculation of their school pensions. The deals made by the MEA presidents were not public knowledge until Michigan Capitol Confidential broke the story. Kalamazoo Public Schools and Fraser Public Schools say they have few documents accessible from the deals involving the already-retired presidents Salters and Battaglieri. Interviews and documents that do exist indicate that two of the districts originally thought these “educator on loan” arrangements were temporary. The Lansing School District thought Cook’s deal would just be three years. Instead, it lasted 23 years and counting. Fraser Public Schools originally thought Battaglieri’s deal would be for one year. The MEA reimbursed the districts for its own costs in each of the arrangements. However, because the Michigan Public School Employees Retirement System (MPSERS) is underfunded by billions of dollars, taxpayers are picking up part of the costs represented by these union officials' rich pensions. “It’s the height of hypocrisy to rail against ‘profit’ in public education while masterminding schemes to bilk the taxpayers for six-figure pensions,” said Gary Naeyaert, executive director of Great Lakes Education Project, a nonprofit working to reform public education in the state. There’s a distinction between a private corporation that earns money educating Michigan children and a union that primarily negotiates contracts with government entities and lobbies politicians, according to Audrey Spalding, director of education policy for the Mackinac Center for Public Policy. The MEA did not respond to an email seeking comment.